Avoca River Reach 7 (Avoca to Archdale Junction) is a priority river reach for protection and enhancement due to its in stream habitat and relatively intact riparian zone. The Avoca River also connects to the nationally and internationally significant Avoca Marshes and Kerang Lakes. Reach 7 currently experiences high rates of erosion and sediment movement, and a large portion is not fenced to control stock access; exacerbating bank erosion and degrading riparian vegetation. The North Central Catchment Management Authority (CMA), in partnership with the Department of Environment, Land, Water and Planning, Glenelg Hopkins CMA and Wimmera CMA, is trialling ways to reduce agricultural greenhouse gas emissions by improving crop nitrogen utilisation. The project is focusing on measuring and demonstrating on-farm practices and technologies that improve crop utilisation of nitrogen derived from both soil and fertiliser sources. The Avoca Avon-Richardson Program area occupies a large part of the region's two western catchments. The total area of the Avoca Avon-Richardson region is just over one million ha (40% of the region's total area). Major towns include St Arnaud, Avoca, Donald, Charlton and Quambatook. The area includes high value Ramsar listed wetlands, state and nationally listed species and vegetation communities (Buloke Grassy Woodlands) and priority river reaches (including Reach 7 of the Avoca River). 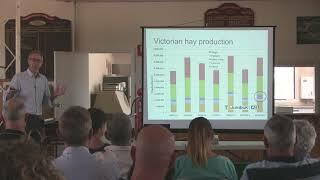 Dryland salinity has long been recognised as one of the main threats to natural resources condition, water quality and agricultural production in the North Central region of Victoria. 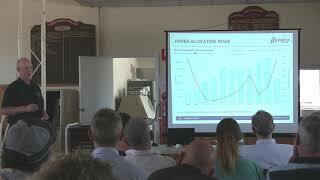 The Regional Sustainable Agriculture project has been developed to address land-use issues associated with climate variability in the Loddon Campaspe Irrigation Region. The primary focus of the project is to provide information on the productive farming options that use less or no irrigation water, whilst also increasing soil carbon and reducing erosion. Funded through the Australian Government's Caring for our Country initiative, the project will continue until June 2015. The Kerang Weir fishway includes a fish monitoring program, implemented by the North Central CMA. Monitoring fish is vital to understand the effectiveness of the Kerang Weir fishway and for improving local native fish stocks. This project aims to empower landholders within the project area to protect and enhance Box-Gum Grassy Woodland remnants on private land. Priority asset to be protected: Box-Gum and Grey Box Grassy woodlands. Priority asset to be protected: Nationally endangered Box-Gum and Grey-Box Grassy Woodlands. The upper Loddon and upper Campaspe catchments are recognised as containing some of the healthiest rivers and creeks in the north central Victoria region. The catchments support intact and native riparian vegetation, deliver good quality water to downstream users, provide important habitat for aquatic and terrestrial species and are the focus of community interest in river management. The proliferation of high threat weeds, such as blackberry, gorse and willows, along with the impact livestock can have in agricultural areas, threaten the health of these precious waterways. The North Central CMA is currently implementing a significant program of onground works and investigations to assist the community to recover and protect our environmental assets following the most significant flooding in January 2011 this region has experienced for over a century. 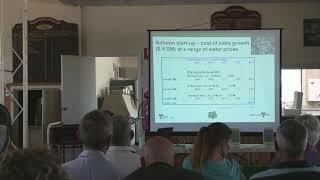 Funding from both the Victorian and Australian governments will lead to the North Central CMA directly dealing with over 500 landholders and many township communities throughout the region in 2012 and 2013. The Kerang Wetlands are a unique system of more than 100 wetlands with 23 lakes and swamps recognised under the Ramsar Convention for providing habitat to significant waterbird populations. Protecting the wetlands includes targeting threatening pests including Weeds of National Significance, rabbits and foxes which all undermine the ecological character of Ramsar sites. The Loddon River downstream of Cairn Curran Reservoir is listed as a flow-stressed river in the 2002 Victorian River Health Strategy. The 'Protecting and Enhancing Priority Wetlands of the North Central CMA Region' project focuses on maintaining and improving the ecological condition of a number of priority wetlands within the region. Grassy woodlands were once widespread through the Edgecombe, Greenhill, Langley, Pastoria, Pipers Creek and Sidonia districts north of Kyneton. However, they are now considered at high risk of extinction as remnants are reduced to isolated, small patches in decline. Expressions of Interest for Stock Containment Area grants have now closed. For more information, call 03 5448 7124 or freecall 1800 751 751. Applications for Round Two of the Drought Employment Program across the North Central Catchment Management Authority have now closed. The Kooyoora Connections project is supporting local landowners and community groups to improve the condition and increase the area of native vegetation on private land between Kooyoora State Park, Wychitella Nature Conservation Reserve and Mount Korong Nature Conservation Reserve. The Remnant Grassy Ecosystems project aims to support landowners to protect native vegetation and improve habitat condition on their property.